DENVER — Pop star Taylor Swift on Friday won a preliminary round in the federal court trial stemming from her allegation that she was groped by a Colorado disc jockey, as the judge dismissed the DJ's rival claim accusing the singer of wrongfully getting him fired. The ruling by U.S. District Judge William Martinez left intact Swift's assault and battery countersuit against David Mueller, who had asserted he was falsely accused by the recording star and ousted from his $150,000-a-year job at radio station KYGO-FM under pressure from her. The judge previously tossed out Mueller's defamation-of-character claim against Swift, originally leaving her only to face a tort claim of interference with contractual obligations and prospective business relations. The Grammy-winning artist behind such hits as "Fearless" and "I Knew Your Were Trouble" asserted that her representatives informed KYGO management about the alleged groping incident in 2013 but never demanded that Mueller be fired. Martinez agreed with Swift's lawyer, J. Douglas Baldridge, that the other side had failed to show any basis to support Mueller's contractual interference claims against Swift. But the judge left the singer's mother, Andrea Swift, and her radio station liaison Frank Bell named as defendants in Mueller's case, meaning the jury will decide if those two should bear any liability for Mueller's dismissal. The eight-member U.S. District Court jury also will decide whether Mueller is liable for assault and battery, for which Swift is seeking a symbolic $1 in damages. She has pledged to donate any judgment she wins beyond that to charity. 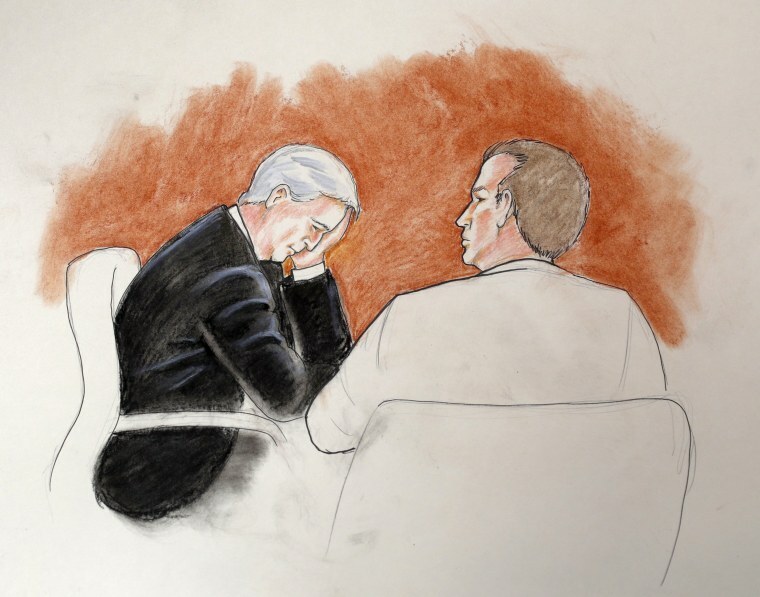 The ruling came on the fifth day of the Denver trial, capped by testimony from Swift's former bodyguard corroborating her account of being groped by Mueller, testifying that he saw the DJ slip his hand under her skirt as they posed for a photo.